Being a music and nightlife journalist since the early age of 16, the establisher and vise editor of the israeli DJ Mag at the age of 20, and later on a label owner of “Spam – Products of the Environment”, which was one of the first Israeli indie music labels (including artists such as Soulico, Bikini and Haivrit), an artistic manager and a fanatic music lover, Adi Shabat is a key figure in the Tel Aviv club and music scene. That is why there was no surprise when she decided to take a step up, leave her place behind the scene and start DJing, as she felt it was the right time to share her obsessive love for indie and electronic music, her passion for the dance floor, her ever growing musical knowledge and her creative talent. 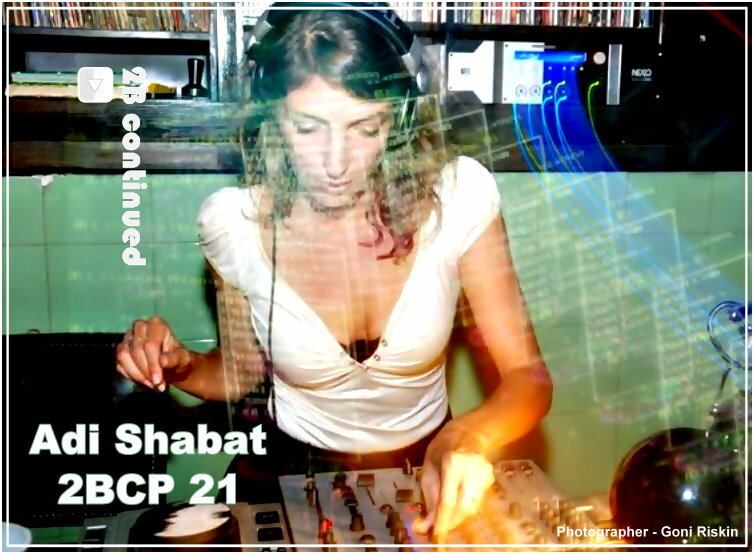 Her versitile and unique mix of indie-dance, nu-wave, nu-disco and house is gaining a fast growing support in the Tel Aviv music scene, being DJing highly acclaimed fashion shows, exclusive private events and the local clubs and dance-bars. Now, with a first release out and a few more on the way, it is safe to say that Adi is on her new musical highway. Alongside her rising DJ career Adi is also the musical editor for www.navigaya.com and www.gomusicgo.com, and A music journalist for several magazines and websites in Israel.